Over the past year, I rated more than 1,300 wines from Bordeaux’s 2016 vintage and only five were rated 100 points. Perfection. At Wine Enthusiast, we call it “classic.” Wines that sing. They came from throughout Bordeaux, always a sign of a great vintage. Does it happen every year? Certainly not. In 2015, for example, there were five 100-point wines, but from different producers than 2016’s top scorers. Unlike spirits, one of the great things about wine is that vintages are not the same, and scores reflect this. Over the last 20 years, only four estates have scored 100 points more than once and it isn’t limited to First Growth chateaus: Cheval Blanc (2010, 2015); Haut-Brion (2014 white, 2016 red); Lafite Rothschild (2010, 2015); and Pétrus (2005, 2015). The rich and open 2015s were a real contrast to the much more firm, closed 2016s. The quality of both vintages is not in question. It’s that the differences are so marked and, for red-wine lovers, so fascinating. The 2015 category is “a Mediterranean vintage, approachable, warm and round,” says Dany Rolland, the winemaker, business partner and wife of consultant Michel Rolland. “[The year] 2016 is an ocean vintage, more classic Bordeaux, with lots of tannins and structure.” In her opinion, both vintages will age equally well. For those who follow Bordeaux vintages, take a moment to reflect back to 2009 and 2010: The 2009 vintage was an immediate hit, especially with American wine drinkers. It was soft, opulent and easy to understand when young. On the other hand, the 2010 vintage was big, full of alcohol and tannins, and set for the long haul. In Bordeaux, winemakers and pacesetters alike preferred the 2010 wines. When comparing 2015 and 2016, the verdict isn’t so clear. The 2015 wines are more attractive in their youth, displaying a core of tannin balanced by freshness. The 2016 vintage, though, may take time to reach its true potential. What makes the 2016 vintage so special is the quality across the Bordeaux hierarchy. The same character found in the most complex wines is also apparent in the simpler options. They all offer bottlings with rich, ripe fruit and a tannic structure that promises longevity. 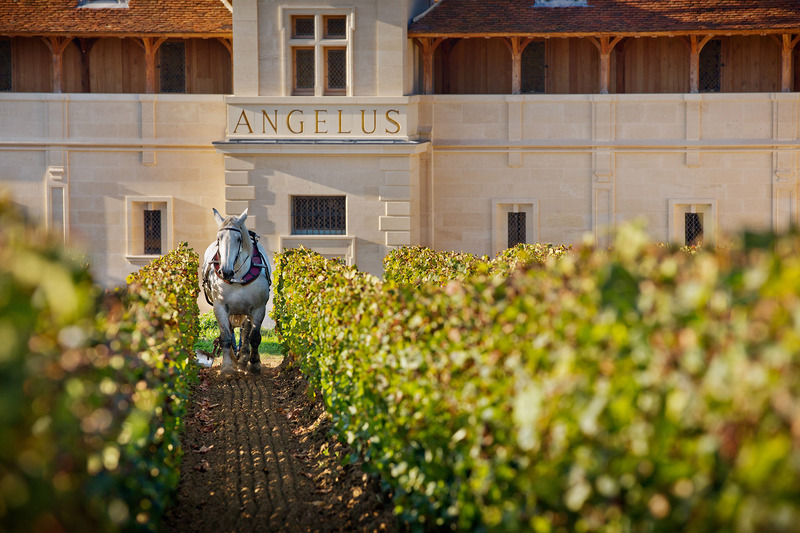 “The wine has ripeness as well as energy,” says Hubert de Bouärd, whose family owns Château Angélus in Saint-Émilion. Angélus and Le Dôme scored 100 points because of Cabernet Franc. It was a stunning year for this grape, which totally outshone the Merlot in Saint-Émilion. Single-vineyard Le Dôme is between 75% and 80% Cabernet Franc; Angélus has a majority Cabernet Franc. On the Left Bank, where wines are mostly Cabernet Sauvignon in three-to-four grape blends, Cabernet Sauvignon was the success behind the Médoc blends. It’s the backbone behind Château Palmer and Château Pontet-Canet. Château Haut-Brion is Merlot and Cabernet Sauvignon. Merlot is still in the majority in Bordeaux vineyards. However, due to climate change, it’s becoming harder to produce a balanced Merlot-based wine without too much alcohol. That’s why more Cabernet Franc is being planted in Saint-Émilion, and many of the Médoc growths have increased the percentage of Cabernet Sauvignon in their top blends. Expect to see this trend continue through the next decade. Since the Bordeaux 2005 vintage, there have been a total of 16 red wines awarded 100 points and one white wine. Between the 2005 and 2010 vintages, only six wines were granted 100 points. These latest two vintages, 2015 and 2016, have 10 between them. Climate change, technological and vineyard innovations, a move to organic and biodynamic viticulture and the business acumen of the Bordelais have all played a part. What’s really exciting about the 2016 vintage is that apart from Haut-Brion, which produced the best wine I have ever tasted from this chateau, there were 100-point wines from among the first-growth pretenders, Palmer and Pontet-Canet in the Médoc. It shows that other estates have learned to maximize the potential of their vineyards. Looking forward, there’s likely more to come as other chateaus rise to meet the challenge with their wines worthy of 100 points. Climate change is good to Bordeaux now. But in 20 or 30 years, it could be too hot even for the Bordeaux Cabernets. Make the most of this greatness while you can. Château Angélus 2016 Saint-Émilion; $400. This is a rich, perfumed wine with dense tannins and intense layers of black plum and spice. The palate is firmly built, yet broadened out by plump dark-fruit tones and honed by a solid, dry core. Drink from 2025. K&L Wine Merchants. Cellar Selection. Château Haut-Brion 2016 Pessac-Léognan; $650. Immensely tannic, this is a great Haut-Brion, one of the finest for many years. It shows the severe side of this estate, with a dense structure to match the powerful black fruits. Rich with berry flavors and lifted by enough acidity, the wine will age for many years. Drink from 2026. Millésima USA. Cellar Selection. Château Palmer 2016 Margaux; $330. Powerful tannins and hugely rich fruit balance together in this superb wine. The velvet texture belies the power behind the concentrated, ripe black-fruit flavor, with vibrant acidity giving ample lift. The wine’s structure will ensure aging for many years. Drink from 2024. K&L Wine Merchants. Cellar Selection. Château Pontet-Canet 2016 Pauillac; $159. A voluptuous wine, this is rich and fruity, yet balanced by a magnificent structure. Pure, crisp and packed with a black currant flavor, this will be a remarkable wine as it develops. Still young, it needs many years to develop. Don’t think about drinking before 2025. K&L Wine Merchants. Editors’ Choice. JCP Maltus 2016 Le Dôme (Saint-Émilion); $235. This 80% Cabernet Franc wine may be massive, but it’s also perfumed with swathes of opulent black fruit. It comes from a great year for Cabernet Franc, which forms 75% of this vineyard. Juicy acidity gives the wine a velvet character that is enticing. It needs time, so wait to drink from 2026. World’s End LLC. Cellar Selection.